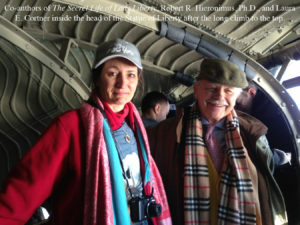 Media coverage for The Secret Life of Lady Liberty by Robert R. Hieronimus, Ph.D., and Laura E. Cortner. Order from Amazon.com. “I thought it would good fun and very informative for the Fourth of July to bring on Robert Hieronimus and his writing partner Laura Cortner. He has been a favorite of mine for a very long time. 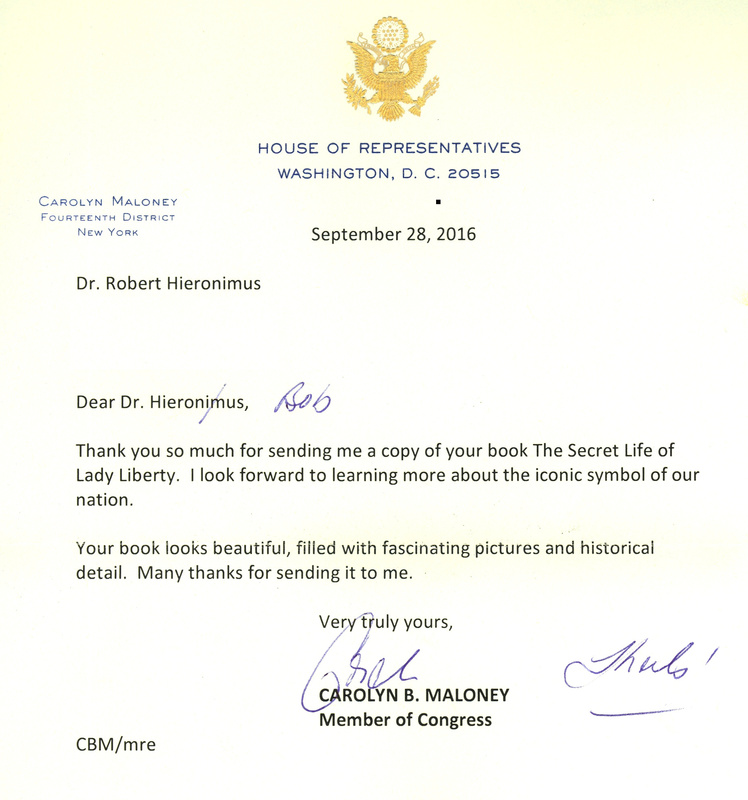 I have been especially interested in reading his doctoral stuff on The Historic Analysis of the Reverse of the American Great Seal and his research on America’s ‘secret destiny.’ But what I want to talk about today on this Fourth of July is The Secret Life of Lady Liberty: Goddess in the New World. (I really enjoyed it very much.) 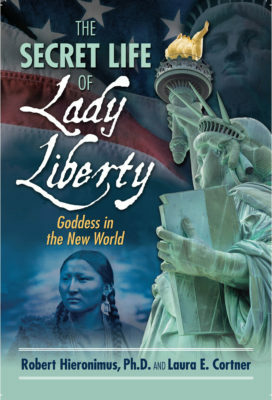 This is going to be an interesting book to examine because it shows how Lady Liberty has ties to Native American spiritual traditions, the Earth Mother, Roman goddesses, Black Madonnas, Mary Magdalene and reveals the sharp contrast between depicting Liberty as a female and the reality of women and other suppressed classes going on even today. Let’s say a prayer for the Statue of Liberty. Do a blessing on the Statue of Liberty and what it means to solve all these problems.” Listen to the rest of interview. 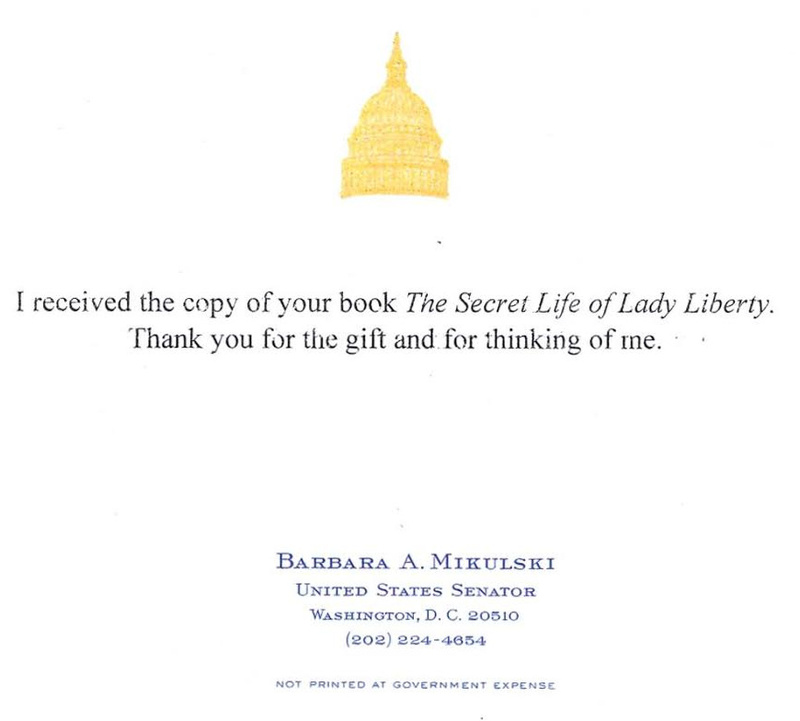 Barbara Mikulski, the first woman to be elected to the Senate without a husband or father in office, and a strong advocate for legislation to protect women’s rights, sent us a thank-you for The Secret Life of Lady Liberty. 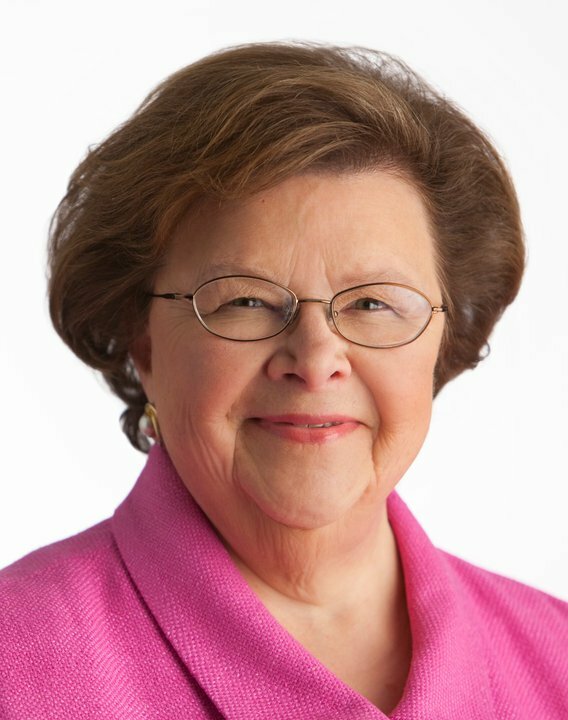 We are going to miss her in the Senate! See the letter. 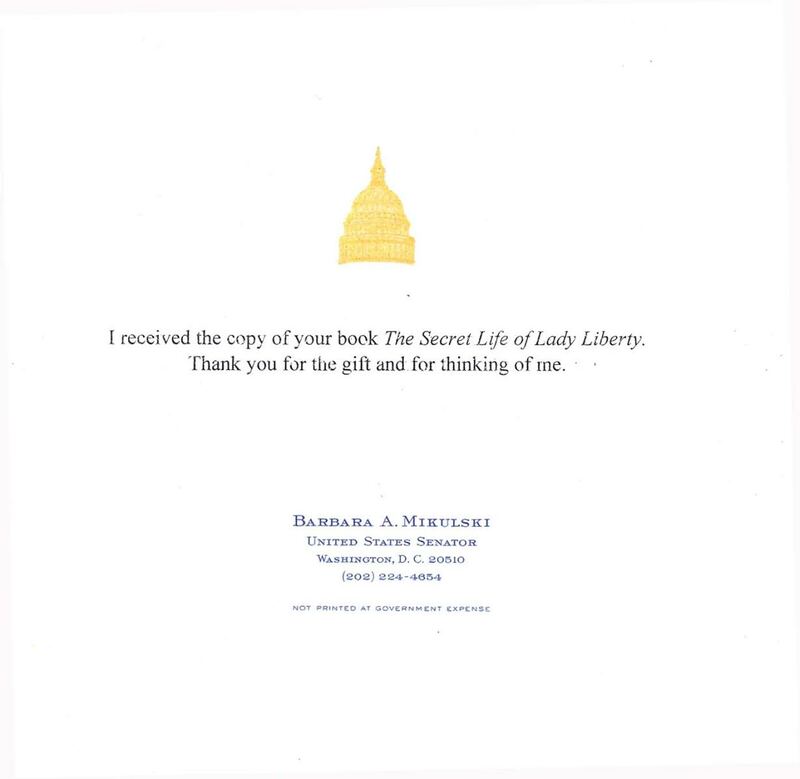 “Thank you so much for sending me a copy of your book The Secret Life of Lady Liberty. I look forward to learning more about the iconic symbol of our nation. Your book looks beautiful, filled with fascinating pictures and historical detail. Many thanks for sending it to me.” See the letter. 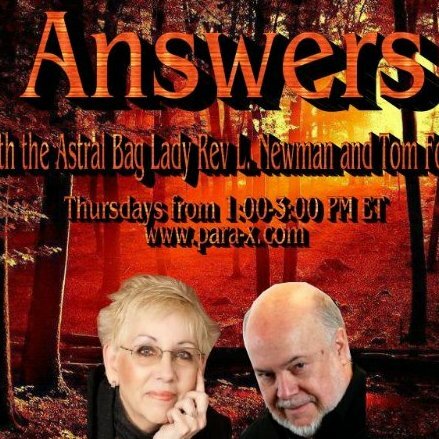 The hosts of Answers With the Astral Baglady, broadcast on Thursdays 1-3pm ET on the Para X radio network, spoke with the authors for a 90 minute interview. Rev. 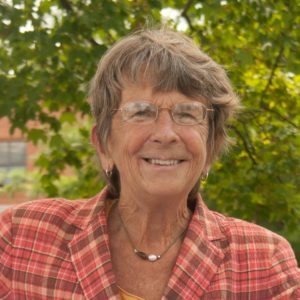 Linda Newman has been the Hieronimus’s astrologer for many years and is highly recommended for anyone seeking expert advice in this area, especially if you enjoy highly whimsical and entertaining writing (theastralbaglady.net). Linda had this to say to us in an email before the show: “I received your book yesterday and it is nothing less than brilliant.” Thanks Linda! We look forward to returning to talk to you and Tom any day. Great show! Listen to the interview. 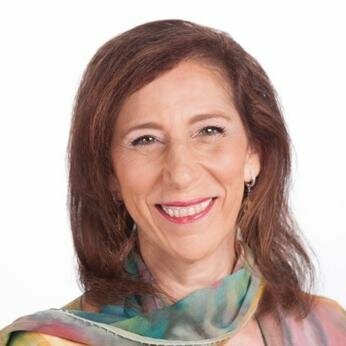 As a minister, spiritual leader and meditation teacher, Kris has a commitment to bring feminine consciousness to the forefront of our collective experience. 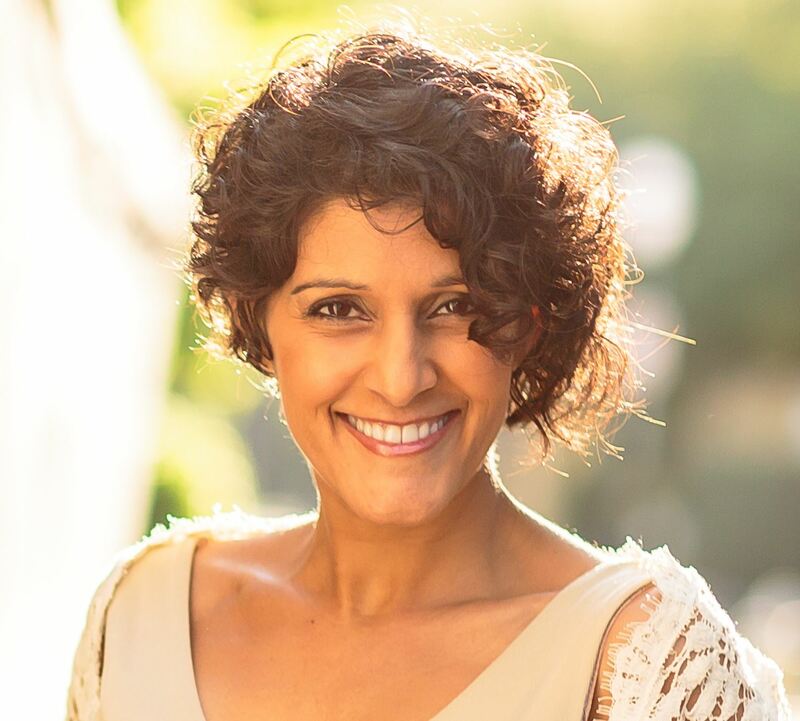 Kris is the host of Voices of Women Today radio show, a powerful hour for women to share their stories, airing Fridays, 1pm PT, 4pm ET Listen to the interview. Writer and publisher of the Heartcom Network, Christopher Rudy is a long-time Netizen journalist and visionary who has hosted Cosmic LOVE on BBS Radio for nine years. “This explains it all, from the endless war pathology to our sick health care system. It’s simple enough. An intelligent 3rd grader could understand it. It took some history to make a strong case for Lady Liberty’s ‘New Republic’ message now, but her torch of global illumination is shining bright with our new instant-everywhere and interactive Internet enlightenment. General enlightenment has thus brought humanity to this point of waking up, wising up and rising up… as one Family of Mankind in a global village. Solutions naturally evolve and emerge for all of ‘US’ as United Sovereigns of Earth.” Read his full review here and listen to the interview. 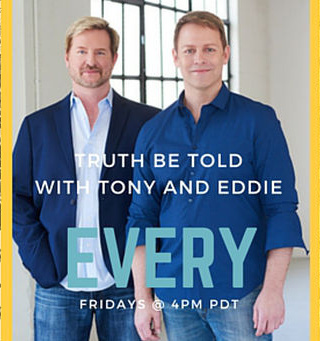 Tony Sweet and Eddie Conner are the co-hosts of Truth Be Told, airing every Friday at 4PM PT. Tony Sweet strives to bring raw news and feature guests that include celebrities, politicians and religious figures. 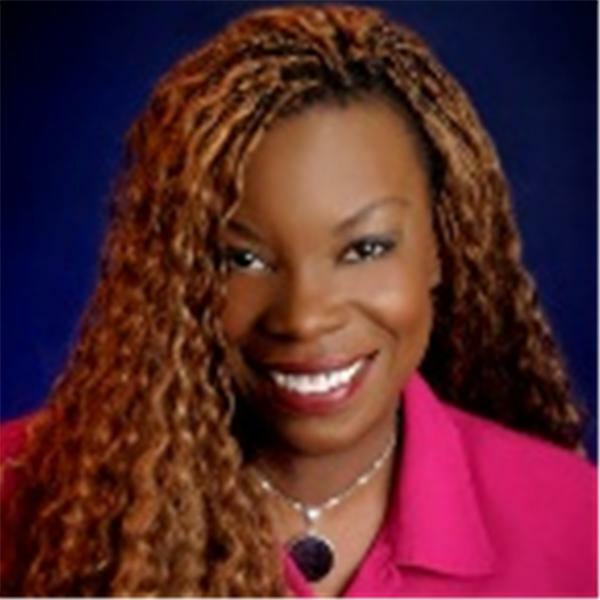 Eddie Conner has achieved international recognition as a Soul Intuitive, Radio Host, Author and Holistic Humorist. Listen to the interview. 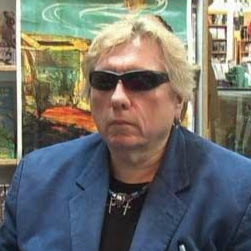 Jim Harold has hosted The Paranormal Podcast since 2005. He is also the host of Ancient Mysteries on the Air, Jim Harold’s Campfire, and other podcasts, and the author of the best-selling Campfire series. This is the second time Jim has interviewed Dr. Bob, who was on the podcast back in 2008 to discuss United Symbolism of America. Listen to the interview. Mark and Thomas host a variety show with an emphasis on history, examining at everything from the earthworks/mounds in the Ohio River Valley to giants, out of place artifacts, possible ET help with engineering, and more. Listen to the interview. “Local heroes: Many of our local scribes have larger-than-life-sized personalities. 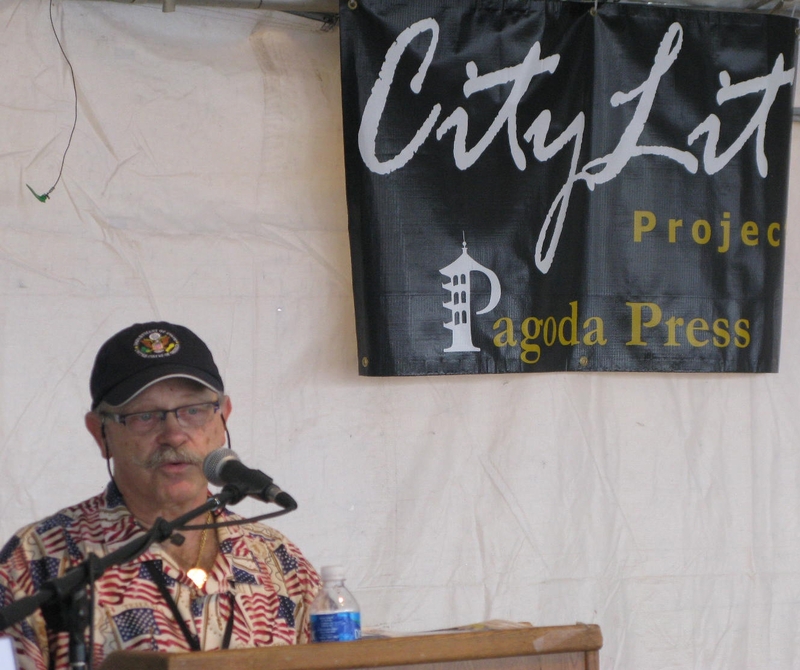 Say hello to … historian and radio host Bob Hieronimus discussing The Secret Life of Lady Liberty (3:30 p.m. Sunday on the City Lit Stage).” Read the article. 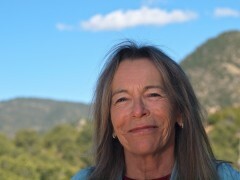 Named one of the Top 13 Most Influential Women in Goddess Spirituality, Karen helped us years ago as we were first formulating the ideas for where to take this book, and is one of the best-informed hosts to interview us about it! Listen to the interview. 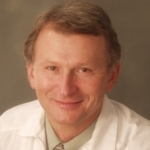 Dr. Pat Baccili, The Dr. Pat Show: Talk Radio to Thrive By! 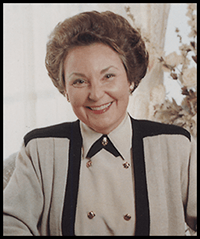 Dr. Pat Baccili helps individuals and organizations break through their limiting Crust so they can reach their unlimited potential. 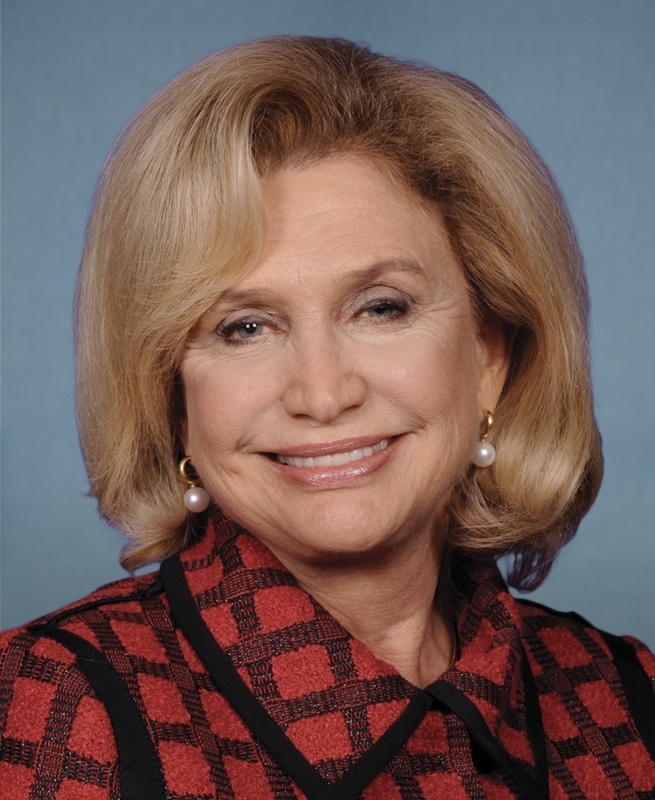 Her specialty is assisting people face their challenges with courage. Listen to the interview. Uplift Your Life with Dr. Paula is about recreating the story of your life into the amazing life script that you really deserve to experience. Airs Thursdays at 10 AM Central Time on VoiceAmerica 7th Wave Channel. Listen to the interview. 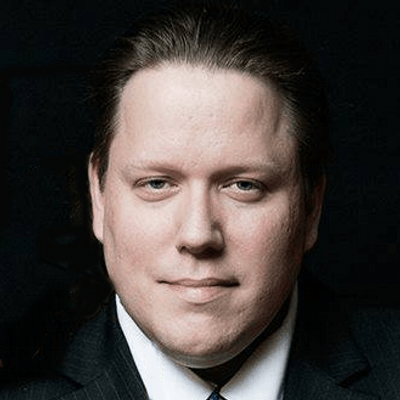 Jimmy Church is the host of Fade to Black on the Game Changer Network, syndicated on KGRA the Planet and iHeartradio, fill-in host for Coast to Coast AM and is host of a new series on History Channel that will be premiering fall of 2016. Jimmy is ranked #33 by Talk Stream Live on their annual Top 50 Most Influential National Talk-show Hosts for 2015. 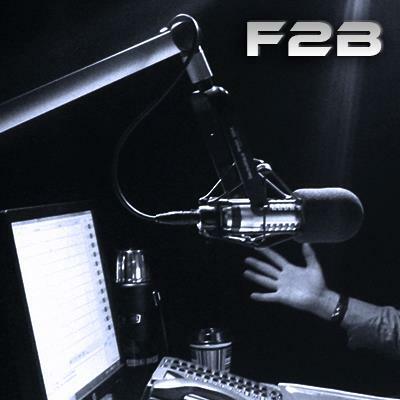 Fade to Black airs LIVE at 7-10pm PST weekdays. Listen to the interview. 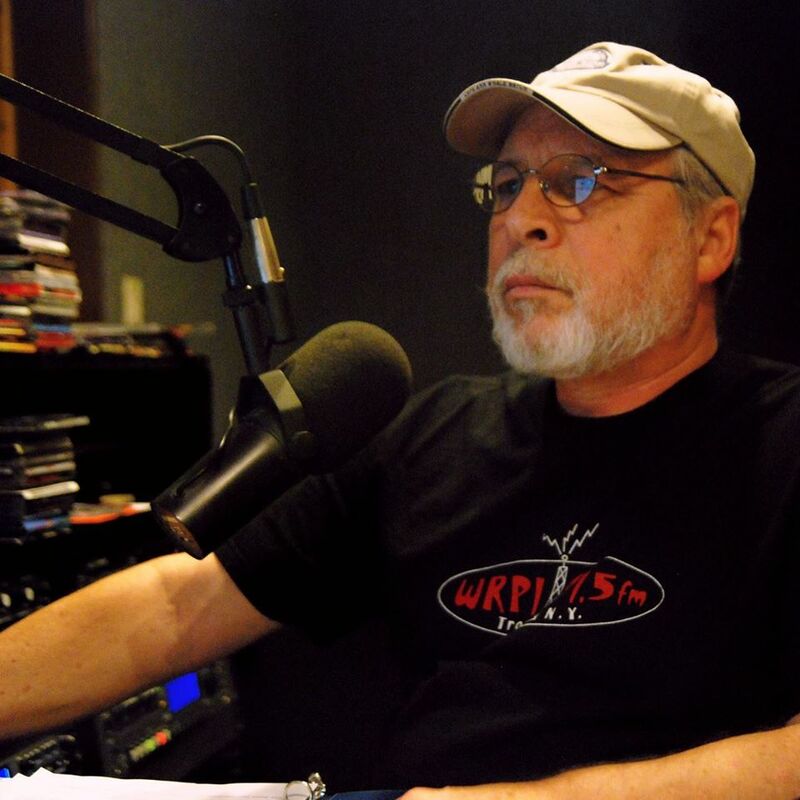 Gary Goldberg has been doing radio on WRPI since June 1999, first with “In The Spirit,” airing Thursdays, 11am-4pm, and later with “Gary’s Music Show,” airing Tuesdays, 11am-4pm. Listen to the interview. 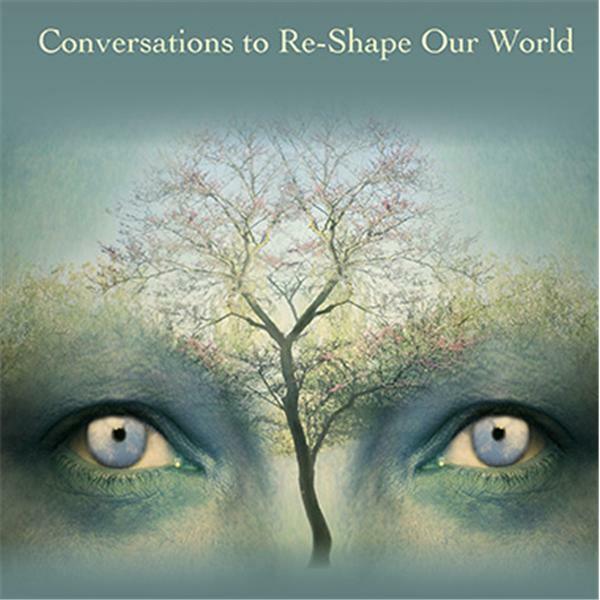 Joanna Harcourt-Smith presents intimate conversations with authors, visionaries and innovators from around the world. Listen to this community of voices who speak about our connection and partnership with the living Earth. Listen to the interview. 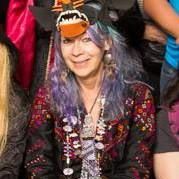 Solaris BlueRaven, Founder and President of Nightshadow Anomaly Detectives, is a published author, remote viewer, clairvoyant, and world class psychic. She is an expert profiler in covert anomalies including synthetic telepathy oriented programs, and has a professional background in Martial Arts and Surveillance. 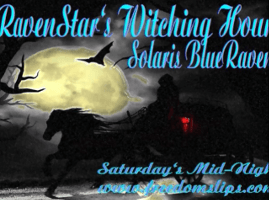 She hosts Ravenstar’s Witching Hour 12 Midnight EST every Saturday on Revolution Radio. Listen to Hour One / Hour Two. Launched in a spontaneous moment of creation in October 2010, Frontier Beyond Fear continues to expand as a unique expression of authentic voices. Before we can truly communicate, understand and shift the world, we must first let our true voices be heard. Listen to the interview. 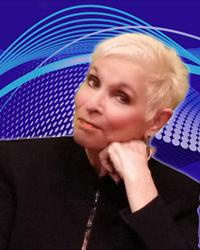 An author, publisher, speaker, renowned mental practitioner, counselor, and teacher, Donna Seebo hosts The Donna Seebo Show (“Light Up Your Life with a Little Bit of Insight”), as well as Warriors For Peace, which focuses on interviews with veterans and those individuals who are dedicated to making this world a more balanced, sustaining environment that supports the ultimate objective of peace. 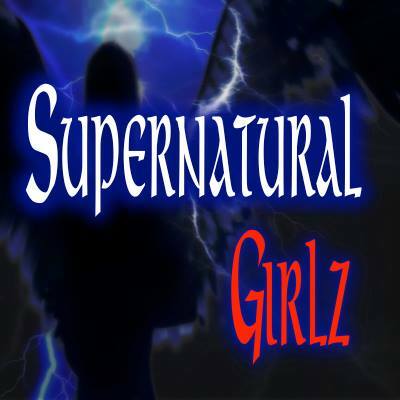 Airs Wednesdays, 11am to 12 Noon, Pacific Time. Listen to the interview. Peter Roth has lived in New York City for the last 40 years after being raised in Westchester County, NY and schooled at Tulane, Penn State and NYU. 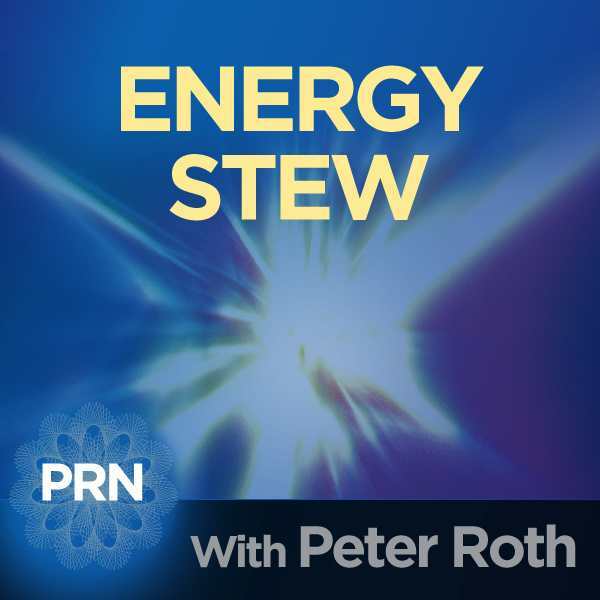 His show, Energy, Stew airs Fridays at 11:30 Eastern. Listen to the interview. 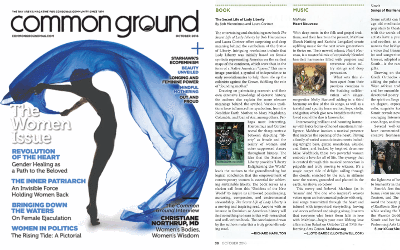 The Secret Life of Lady Liberty was reviewed in October 2016’s “The Women Issue” of Common Ground magazine: “Entertaining and elucidating … Anyone with an interest in feminism or American history will find something to learn.” Read the full review. Ever see 11:11 on clocks, or have synchronicity occur? Read 11:11 Magazine’s November 2016 issue, with an article by the Secret Life of Lady Liberty authors Dr. Bob Hieronimus, Ph.D. and Laura Cortner. Read the article online. 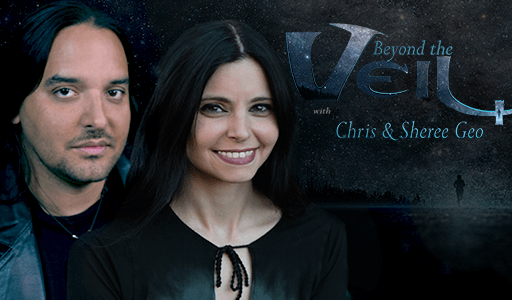 Ride shotgun with cosmic explorers Chris and Sheree Geo as we journey to unlock the mysteries of the universe and discover what lays beyond the boundaries of perception. From encounters with otherworldly intelligences to the things that go bump in the night, we follow the clues etched in stone by our ancestors and analyze first-hand testimony as we discover what awaits us… Beyond The Veil. Listen to the interview. 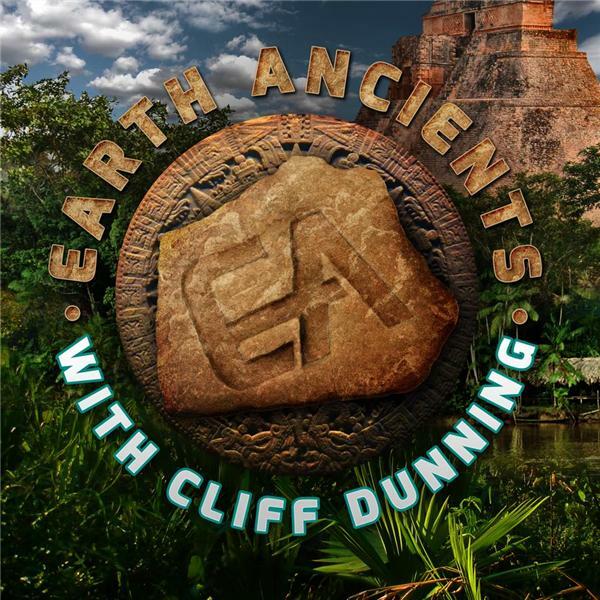 Earth Ancients chronicles the growing (and often suppressed) evidence of known and unknown civilizations, their ruined cities, and artifacts developed from advanced science and technology. Erased from the pages of time, these cultures discovered and charted the heavens, developed medicine and unleashed advancements that parallel and, in many cases, surpass our own. Listen to the interview. 11:11 Talk Radio is the doorway to conscious choice, greater health and well-being. Rediscover your purpose and passion for living. It is a time for a greater, healthier, more expressive experience of you. Change is an inside job! 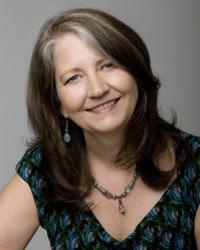 A mind-body-spirit revolution featuring experts and topics that focus on holistic living. 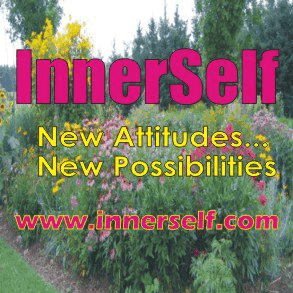 Airs live every Monday at 8 AM Pacific on VoiceAmerica 7th Wave and Health and Wellness. Listen to the interview, and check out our article in 11:11 Magazine. We were reviewed in The Edge Magazine, exploring the evolution of consciousness since 1992, supporting the holistic community of the Twin Cities, Upper Midwest…and beyond. Read the review. The Monique Chapman Show – where self-help connects with higher consciousness, is an award winning weekly radio show that serves as a platform for mindful integration of higher consciousness and self-help. Seeking a better life? 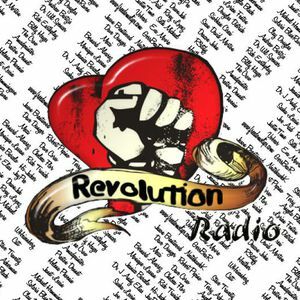 Listen live every Wednesday 5-6 PM PT. Programming is designed to educate listeners on a myriad of ways to improve their lives, one step at a time. Listen to the interview. 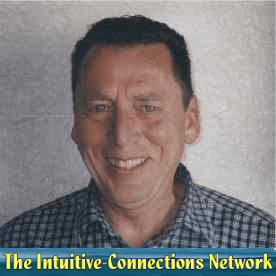 Edited by Henry Reed, Ph.D., The Intuitive-Connections Network is an online magazine providing information regarding the incorporation of intuition into various areas of life, with an emphasis on books published, as well as original articles and other materials of interest. 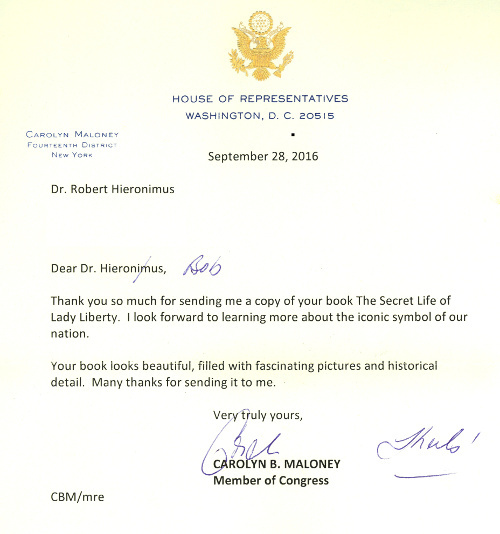 Dr. Reed wrote a thoughtful review of The Secret Life of Lady Liberty — read the review here. Nexus Magazine reviewed Secret Life of Lady Liberty in their January 2017 issue. 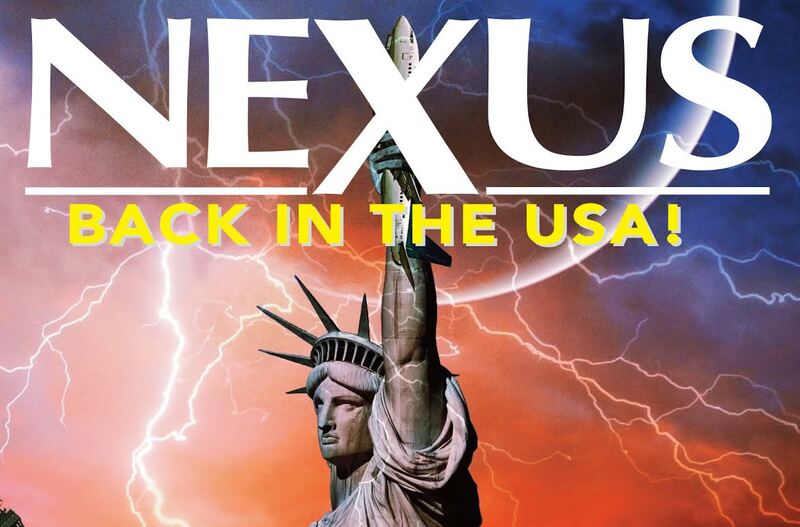 Nexus Magazine features a round-up of some of the important information that the mainstream media choose to ignore in favour of celebrity worship, glorification of war and fearmongering. Featuring breakthroughs in health care, answers to environmental problems and news of mind-blowing technologies. Read the review. 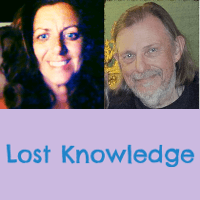 Lost Knowledge reveals our cosmic cultures and our multi dimensional world, be ready to expand your consciousness and let go of what you thought was real! Listen to today’s break through authors and exo politicians on the creation of a galactic world you always knew was there but couldn’t see until now. Listen to the interview. 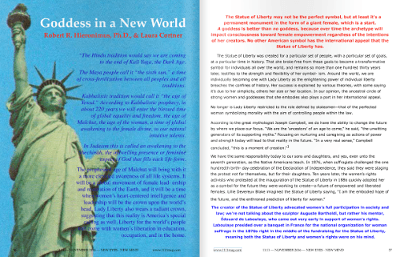 Co-authors Robert R. Hieronimus, Ph.D. and Laura E. Cortner wrote an article about Lady Liberty for The Shift Network’s e-zine The Catalyst. 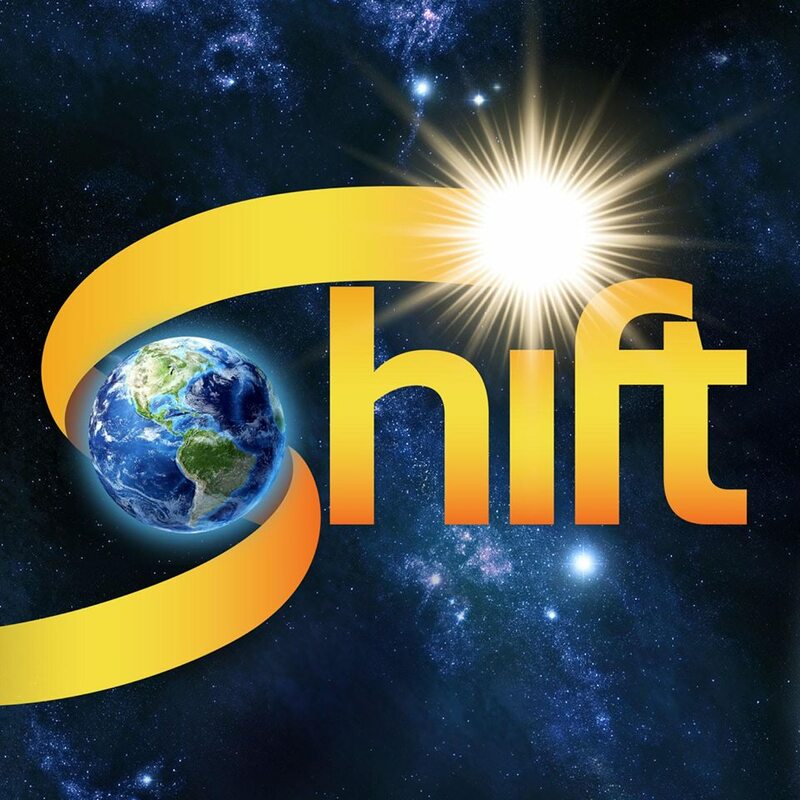 The Shift Network aims to empower a global movement of people who are creating an evolutionary shift of consciousness and culture, primarily through online courses and live events featuring top transformational teachers. Read the article. 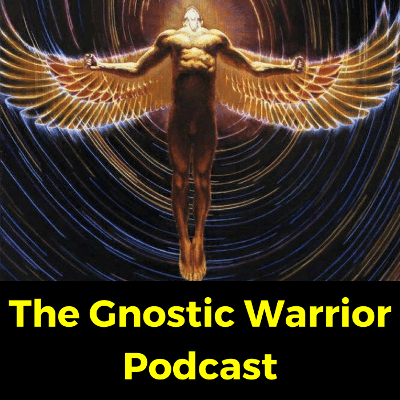 Gnostic Warrior is dedicated to the pursuit of gnosticism using both ancient and modern gnosis techniques. In this interview, co-authors Robert R. Hieronimus, Ph.D. and Laura E. Cortner discuss the secrets behind the Statue and we examine the symbolism of the female divine in American history which reveals the untold histories of the many suppressed classes in this country. Read the article. Caroline’s Visionary Activist Radio Show, a constantly evolving experiment in Radio Magic, is live on Thursdays at 2pm Pacific Time on Pacifica Station KPFA (94.1) in the San Francisco Bay area. Caroline welcomed Laura Cortner and Dr. Robert Hieronimus on to discuss how we may animate the Statue of Liberty, at this time when the country has been taken over by a dangerous crank cult of uninitiated Mars. Listen to the interview. 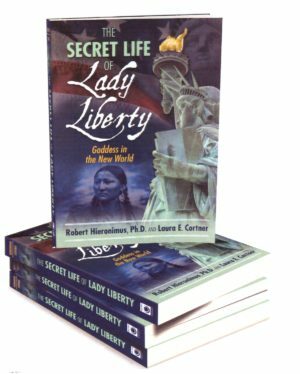 InnerSelf published a special excerpt from The Secret Life of Lady Liberty on their website, about the Native American influence on Lady Liberty, democracy, and the American Revolution. Read the article. With the latest news and info on UFOs, the paranormal, Nikola Tesla, free energy, conspiracies, the New World Order, the Illuminati, and more, Conspiracy Journal features well-known authors and researchers. 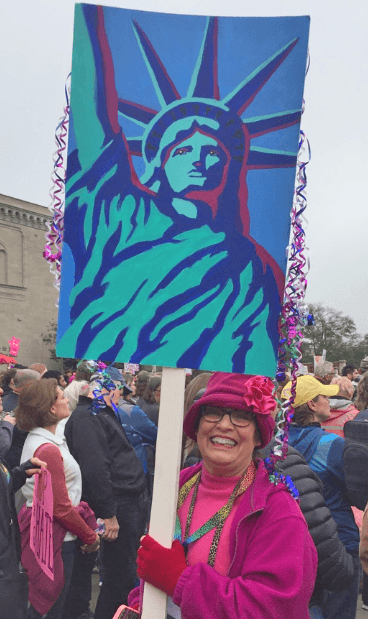 Host Timothy Green Beckley interviewed Dr. Bob Hieronimus, Ph.D., and Laura Cortner about Dr. Bob’s wide-ranging career and how Lady Liberty represents oppressed females and other suppressed classes. Watch the video. KPFA’s Sunday Show discusses everything from current political events, author interviews (usually non-fiction), world history, and science, to gardening. Vilma Ortiz (sitting in for Philip Maldari) had us on for an interview ranging from women in politics to environment issues. Listen to the interview. Author and artist Meryl Ann Butler, Managing Editor for OpEdNews, spoke with Laura E. Cortner and Dr. Bob Hieronimus, Ph.D. in a wide-ranging interview covering The Secret Life of Lady Liberty and the deadly imbalance in America’s toxic patriarchy. Read the interview. 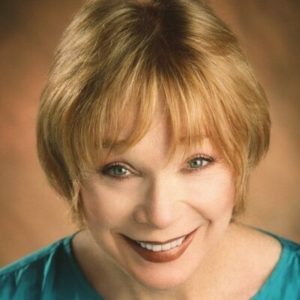 Patricia Baker & co-host Patricia Kirkman host compelling interviews with the best experts in the field of the paranormal. Broadcast live every Wednesday, 7:30-8pm Eastern. Listen to the interview.